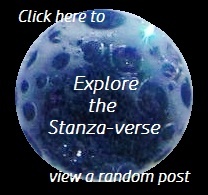 WPC: Pet Victory | What Rhymes with Stanza? The theme for this week’s Daily Post photo challenge is Victory. Victories come in so many shapes and sizes, we probably experience them in one form or another on a daily basis. Getting your human trained to carry you wherever you go. Finally achieving that yoga pose you’ve been working on. Succeeding in laying that Grade AA extra large egg. And the real biggie… being rescued and finding your forever home. This entry was posted in Animalia, humor, photo challenge, photo essay, Photography, weekly photo challenge and tagged #NaBloPoMo15, American Eskimo, cats, chicken, dogs, photography, victories, weekly photo challenge. Bookmark the permalink. Aaw. Nice post and great shots. Thank you. They’re all sweeties. Or at least that I know of. I’m not too well acquainted with the chicken.